It’s about living in a multicultural society with a monocultural focus but being determined to be heard. It’s about challenging society’s need to define us and it’s a rallying cry for the future. It’s a memoir full of heart, fury and intelligence - and the book we need right now. Zoya Patel was born in Fiji to Indian parents, and came to Australia at three years old. In her thoughtful debut essay collection, she grapples with the idea of identity, and the often confusing experience of identifying as Fijian-Indian, Australian, both and neither – sometimes all at once. 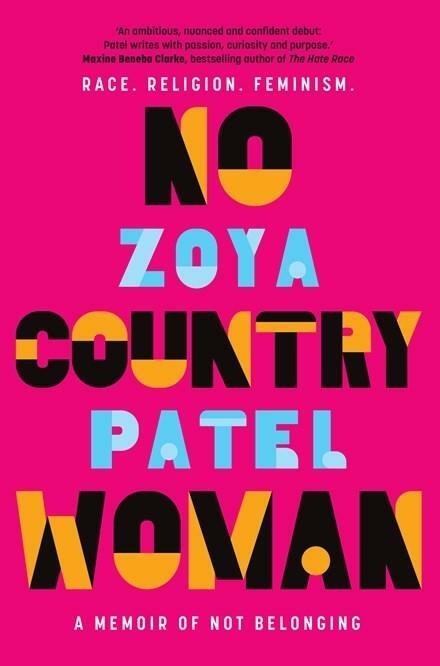 Eloquent yet accessible, Patel’s writing beautifully conveys the complexities of culture, as well as the pitfalls of seemingly progressive politics. She doesn’t shy away from tackling big issues – one chapter addresses the confronting experience of witnessing poverty firsthand in India as someone from the diaspora, realising that her own life could easily have turned out the same way if even one circumstance had been different. Another unpacks the stereotype of the hardworking Indian small business owner, and its effects on Patel’s own work ethic; yet another dissects the whiteness of feminism, as Patel muses on Indian marriage traditions and the West’s quickness to dismiss cultural practices as anti-feminist when the reality is much more nuanced. Elsewhere, she reflects on the privilege of vegetarianism, and compares her experience moving to Scotland with her partner to her parents’ decision to relocate to Australia for a better life – the strange divide between ‘expatriate’ and ‘migrant’. Throughout, Patel mourns the loss of her Fijian-Indian identity through her desperation to fit in as a teenager – a concept that many second-generation kids will identify with. Patel is highly critical of aspects of both Fijian-Indian and Australian culture, but never condescends – her thoughts are lucid and often accompanied with academic references, but written plainly enough to be widely understood. Reading this collection is like having a fascinating conversation with a friend, sharing their constantly evolving thoughts about the intricacies of existence. At once heartwarming and an urgent call to arms, No Country Woman is intelligent, thought-provoking and fresh, pleading for empathy in a world often lacking it.